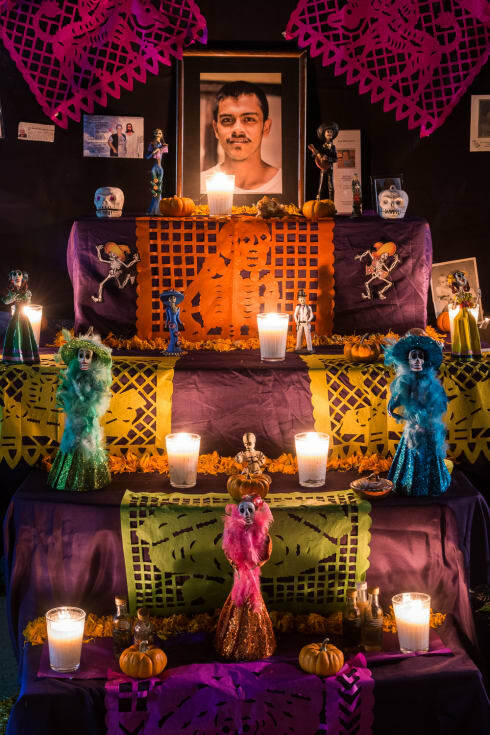 Candles are lit on the Day of the Dead altar to guide the departed back to their loved ones, who await them at the ofrenda. 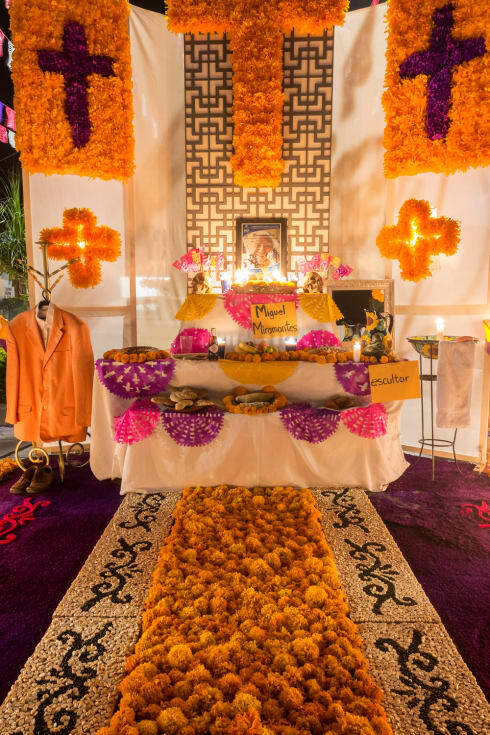 Day of the Dead ofrendas are the centerpiece of the Day of the Dead celebration, one of Mexico’s oldest traditions and still an important way for modern families to maintain a connection with their ancestors. 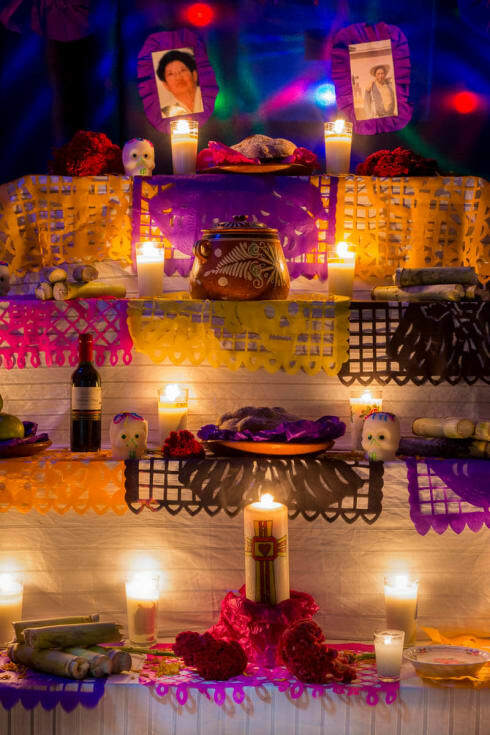 Candles left on a Day of the Dead altar certainly illuminate the altar at night for observers and the living, but they have an underlying purpose: to help guide the dead back to their families on the Day of the Dead. 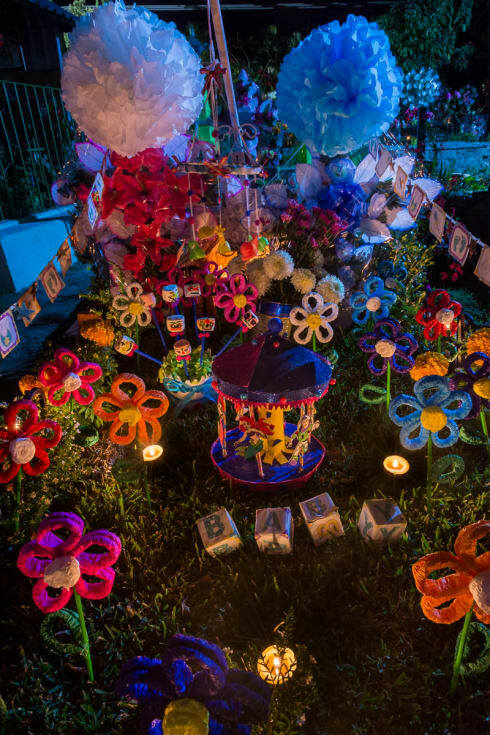 On November 1, altars are set up for El Día de los Angelitos, the Day of the Little Angels, which remembers deceased children. 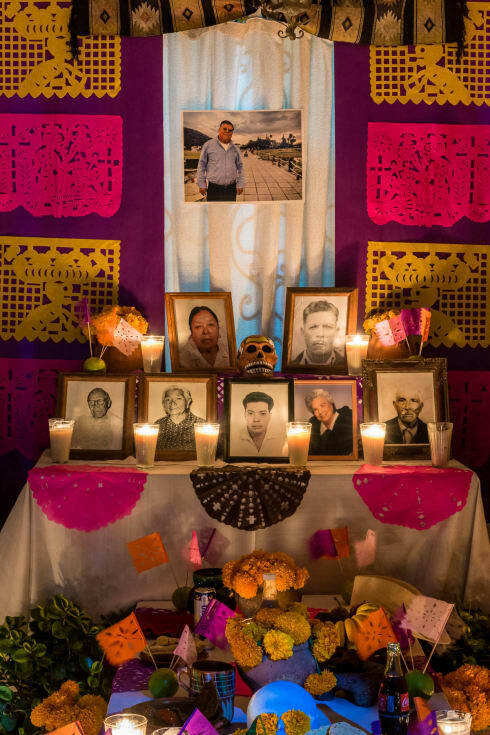 November 2 is the main celebration when the spirits of the adults return to their ofrendas. Altar for friends and family on the street in Ajijic, Jalisco, Mexico, with many catrinas. 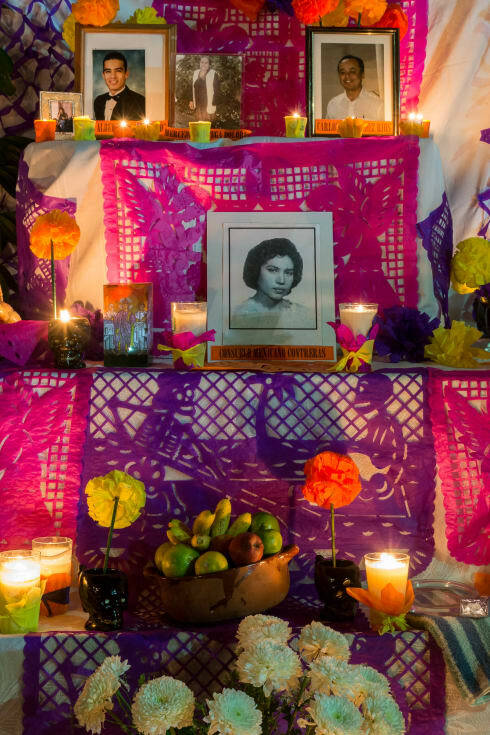 A grave on the Día de los Angelitos, celebrated on November 1 to remember children who have died. 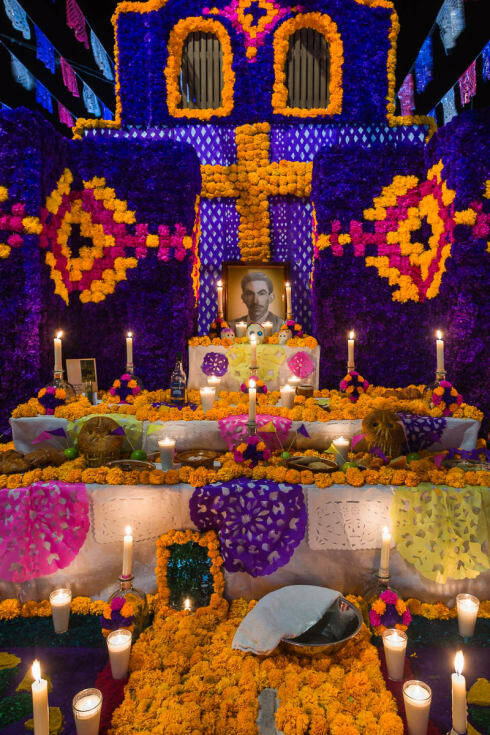 A Day of the Dead altar for Humphrey Bogart and Saint Toribio Romo in Chapala, Jalisco. This Day of the Dead ofrenda is for José Guadalupe Posada, originator of the calavera catrina, which has become one of the holiday’s most enigmatic symbols. This altar remembers Roberto Gómez Bolaños, more commonly called Chespirito. He was a Mexican actor, writer, director, comedian and regarded as one of the Spanish language’s top titans of humor. He died in 2014. 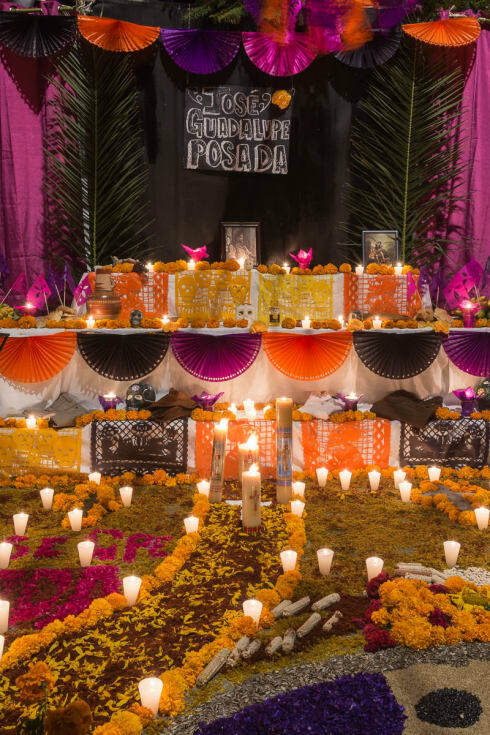 An altar in Ixtlahuacán de los Membrillos, Jalisco, during the Days of the Dead. Miguel Miramontes was one of Jalisco’s most important sculptors. He lived out the last of his years in the Chapala area of the state and died in 2015. This altar remembers Lupe Tijerina, the head of the norteño band Los Cadetes de los Linares, who died in 2016. Los Cadetes are one of Mexico’s longest-playing groups, now 57 years old. 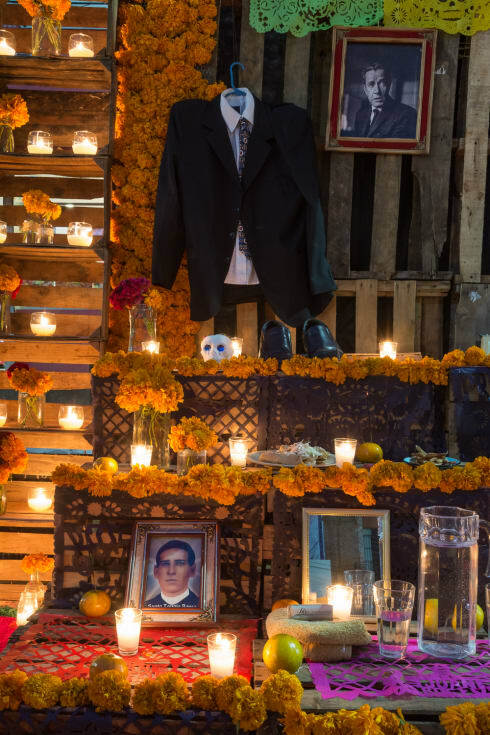 An altar on the Night of the Dead in Chapala, Jalisco. 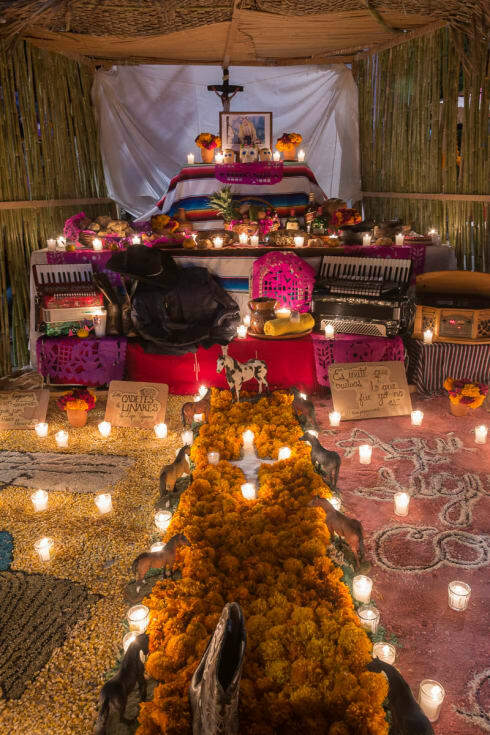 A Day of the Dead altar for a man from Ixtlahuacán de los Membrillos, Jalisco, Mexico. 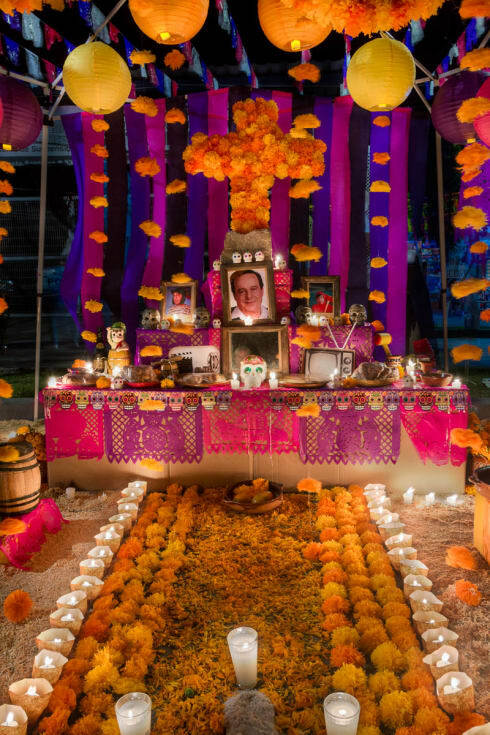 An altar on the Noche de Muertos in Chapala, Jalisco. 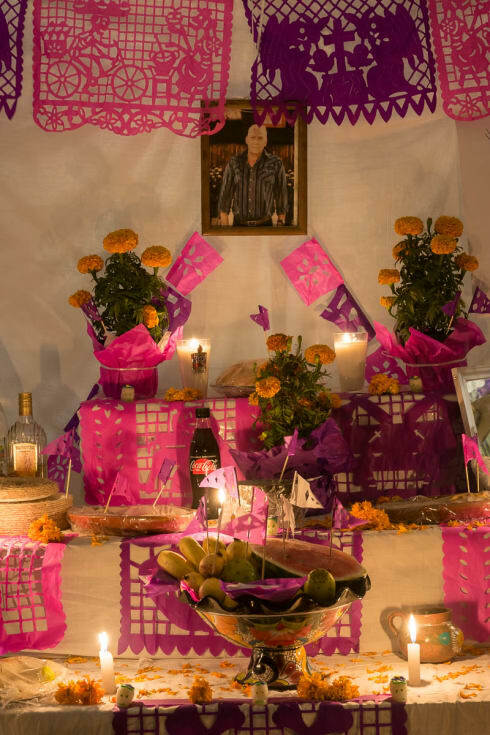 An altar for a family on the Noche de Muertos in Chapala, Jalisco, Mexico. 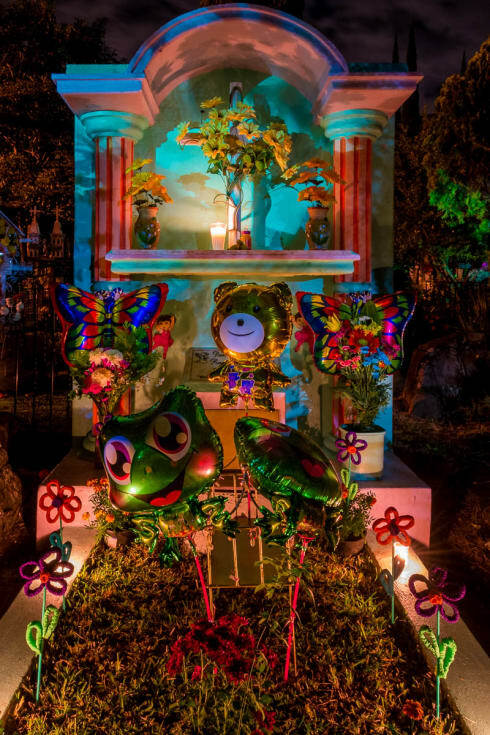 Handmade decorations light up an altar for a baby on a tomb in the graveyard in Ajijic, Jalisco. 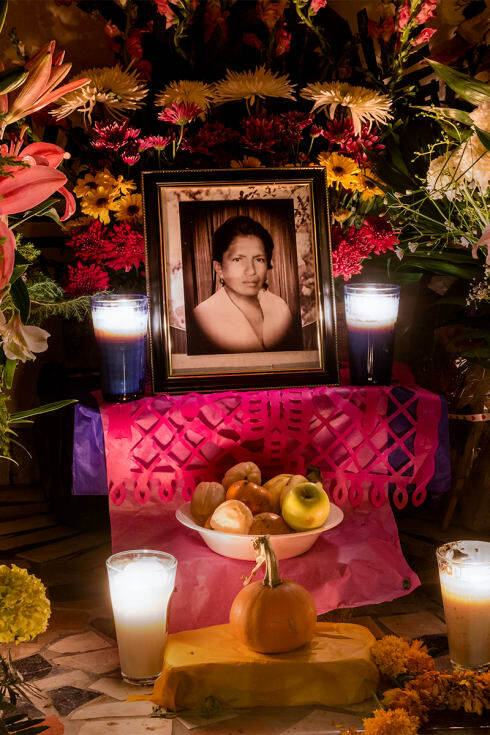 An altar for a woman from Ajijic, Jalisco, Mexico, on the Day of the Dead.